witnessed more than 30 perished elk, seemingly starved, in direct proximity to the feeding station. 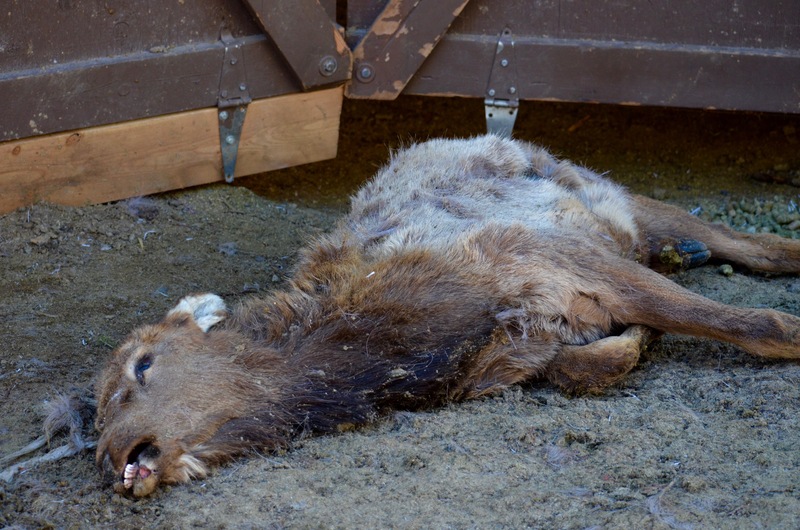 Most of the elk were calves, bodies wretched and contorted as they died painfully in groups of several, the groups in differing states of decomposition. In the storage shed, empty bags were viewed with pellets scattered on the ground. 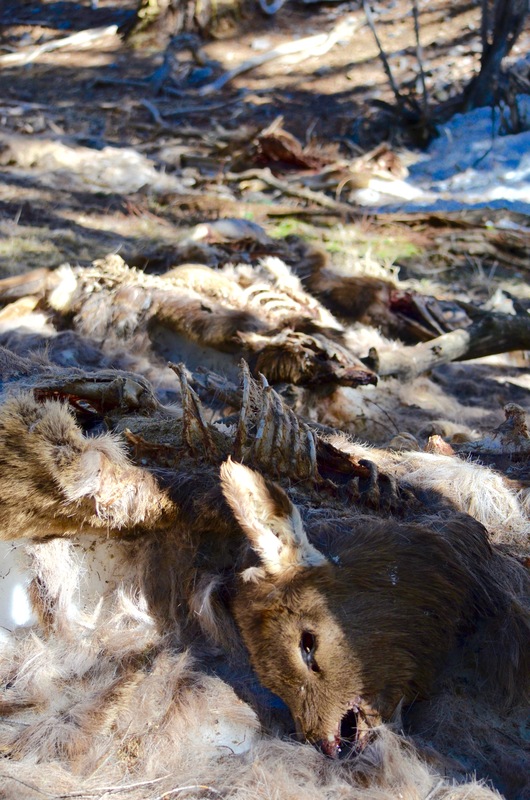 Idaho Department of Fish and Game claims that they stopped feeding the elk in early March after the snow melted from nearby ridges. Unfortunately, these elk did not find the food handouts they were expecting. Instead, they found a locked shed where they could smell pellets that were left on the floor. Some fell to their death at the foot of the doors trying to get into the shed where they smelled food. 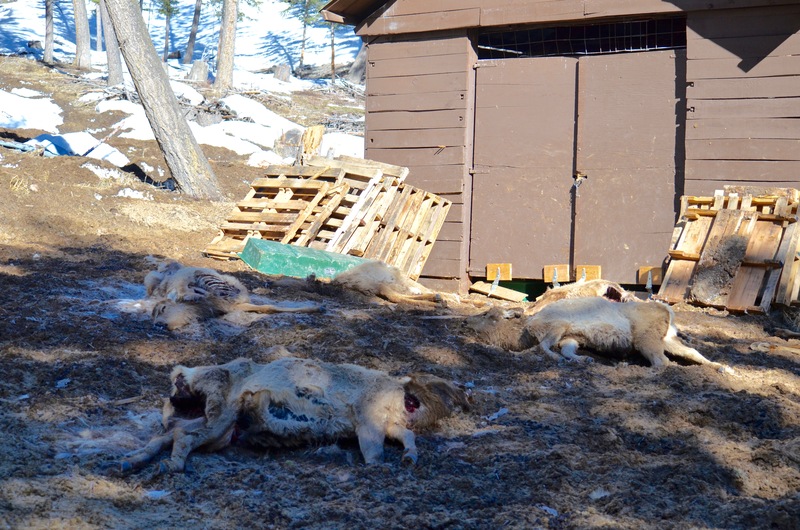 Wolves and other predators are often persecuted for preying on their natural food sources, like the wolves killed recently in northern Idaho in the name of saving elk, yet elk are dying at the hands of humans everyday. How many elk starve because they depend on feeding stations, or from eating toxic landscape plantings, or by vehicle? What is the source of pellets and/or feed the elk are ingesting? Should humans feed wildlife or should we protect wild spaces so that they can exist in nature on their own? 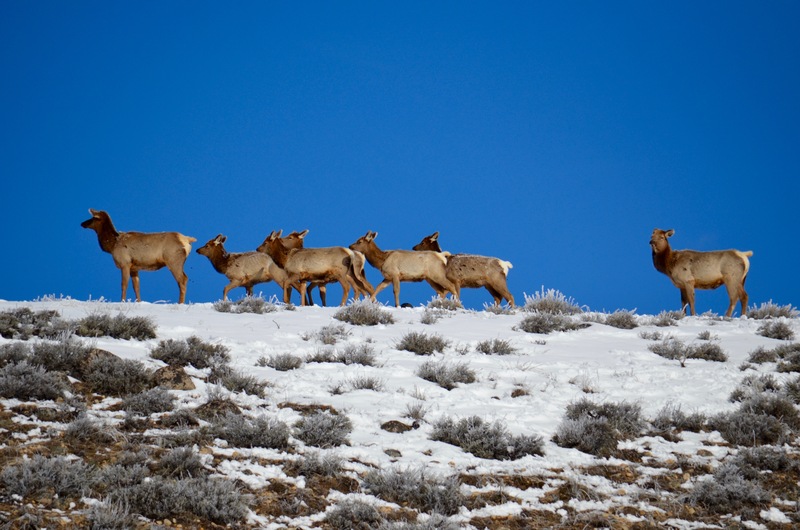 There are plenty of well known alternatives to feeding elk, these include habitat preservation and eliminating competition for food with non-native domestic livestock on public lands as well as the encroachment of development on wild lands is a start. Just some food for thought.